I am planning a trip to Australia to drive the Great Ocean Road next month. Along the drive, there are very few chain hotels (and none of the big chains — Hyatt, Hilton, IHG or Marriott). I am kind of excited as I rarely stay at a non-chain hotel. I’m addicted to the points, it is a problem. I was able to find a Wyndham property; the Wyndham Resort Torquay. I have never stayed at a Wyndham but it looks nice enough and is only $116 a night. 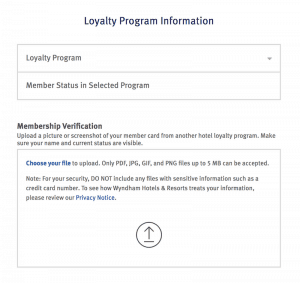 When I visited the Wyndham Rewards website to learn more about their loyalty program, I noticed front and center was an offer for a status match. A number of other chains upper status could be matched to Wyndham’s top level of Diamond. The status match is good for 90 days but can be extended with 7 nights (Platinum) or 14 nights (Diamond) within those 90 days. The benefits of status don’t look too exciting, but I decided to give it a go. All you have to do is tell them what program you are matching from and the level. Then you upload a photo of your membership card or a screen shot of your account. I matched to IHG Platinum and within 24 hours my Wyndham status was updated to Diamond. 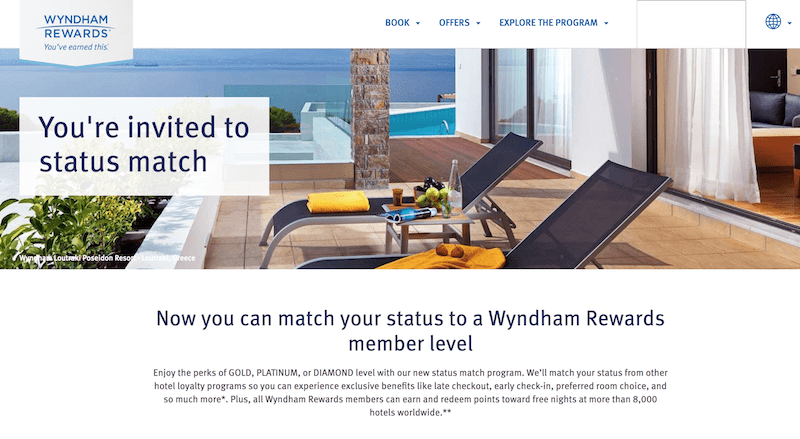 Things got interesting when I realized you could then status match your Wyndham Rewards status to Total Rewards (the casino loyalty program for Caesars Palace and associated properties). NOTE: As of February 1, 2019, Total Rewards is being renamed as Caesars Rewards. The status match will remain. Again, I was able to go online and complete the form to match my Wyndham Diamond to Total Rewards Diamond. It took about a week to get matched to TR Diamond status. Not yet a member of Caesars Rewards? Sign up using this link and you get a bonus 500 Tier Credits when you pick up your membership card at any Caesars property! In full disclosure, I also get 500 Tier Credits when you sign up. I have a trip to Vegas in November. I am staying at Caesars Palace on a booking I made through Daily Getaways last May. Diamond Status will give me some perks during my visit including free shows and a $100 dining credit. 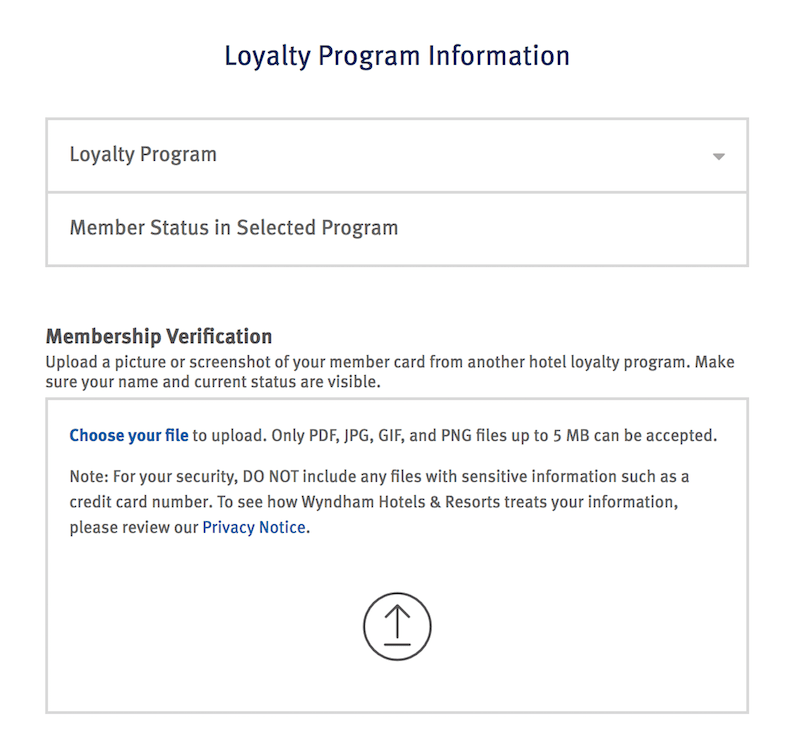 I also understand it is possible to match back from Total Rewards to Wyndham status after my 90 days are up (similar to how you can match M life and Hyatt forever to retain status). I’ll update this once I know through first hand experience. Note that TR Diamond gives you free parking and *waived resort fees* too. It really is a nice perks bundle.